Vectapure 360 triple systems are ideally suited for residential and commercial food service and beverage machine applications. 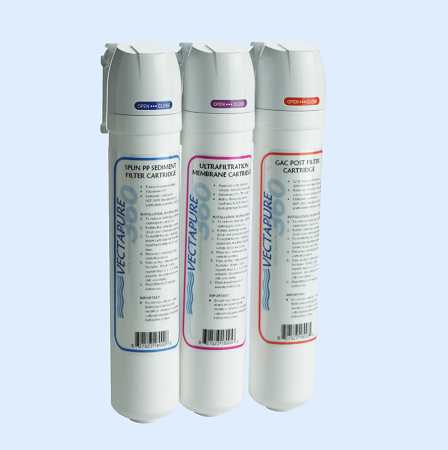 They are a quality alternative to other commercial filters, combining precise filtration and value to protect vital equipment and to keep business operating costs low. Perfect for coffee and espresso machines, ice makers, juice machines or other appliances that are supplied from a tap water source. Removes cycts, bacteria and viruses. 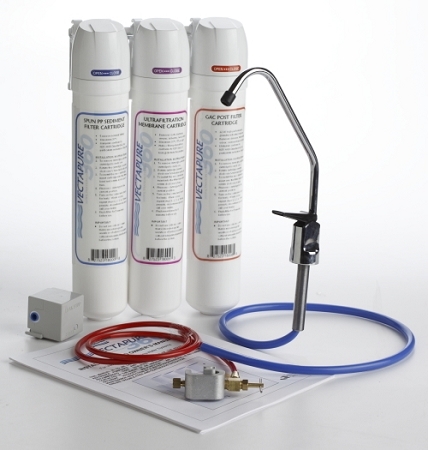 Triple stage systems include cartridges, caps, bracket, accessories and chrome faucet.